The Brandeis Center's Kenneth Marcus calls for awareness and legislation in response. 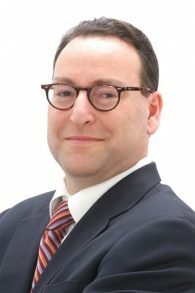 Reports in August from the University of Tennessee, Knoxville of anti-Semitic behavior by students caught the eye of Kenneth Marcus, an anti-Semitism expert and the president of the Louis D. Brandeis Center for Human Rights Under Law. Marcus was later invited to speak Jan. 26 at the university in combination with an International Holocaust Remembrance Day screening of Gloria Z. Greenfield’s film “Unmasked Judeophobia,” during which he detailed the rise in anti-Semitism on American college campuses. Marcus spoke to the AJT by phone the day after his visit to Knoxville. AJT: How did you end up getting invited to speak at UTK? Marcus: Last year we responded to the dozens of anti-Semitic social media postings at UT by urging the university to investigate those students. One of our recommendations was that they utilize the various local resources, such as Gloria Z. Greenfield being an artist in residence at the school, to educate students by showing her film, and I was also invited to speak. AJT: When we spoke to UTK Hillel Director Deborah Oleshansky, she said that reports of campus anti-Semitism had been overblown. Is that not the case? Marcus: That’s not unusual. When we deal with large, complex research universities, we often find there can be a great deal happening beneath the surface. It’s hard for engaged local professionals to be aware of. Sometimes people will come to us with information that is not known to campus professionals. That’s not an indication that they aren’t doing their job right; it’s just difficult to get a bearing of what’s going on at a large institution. AJT: How was the response of event attendees at the film screening? Marcus: We had a very good event at UT last night. I could tell the audience was deeply moved by Gloria Z. Greenfield’s film. I think that watching her film about anti-Semitism and thinking about incidents at the University of Tennessee led people to ask what can be done to combat this problem. AJT: So you would say that anti-Semitism is on the rise on college campuses? Marcus: Anti-Semitism is definitely on the rise on American college campuses, and it is quite horrifying to see, after a half-century of making progress, we are now seeing a different environment. About a year and a half ago the Louis D. Brandeis Center partnered with Trinity College to do a study on Jewish college students. We found that, for the first time, over 50 percent of Jewish college students have personally experienced or witnessed anti-Semitism during the prior academic year. AJT: What can we do about this issue? Marcus: We need to educate people about the meaning of anti-Semitism so that palpable, hurtful, anti-Jewish activity cannot simply be denied. Earlier this month, a court in Germany held that it is not anti-Semitic to firebomb a synagogue. The court reasoned that the perpetrator might have been expressing a political opinion about Gaza by throwing Molotov cocktails. That shocking ignorance by a German court is the sort of thing that merits standard, clear, understandable guidance on this issue. At last night’s event we discussed the Anti-Semitism Awareness Act that was introduced last year in the U.S. Congress. We also discussed the state-level legislation which was introduced in Virginia and that we hope will be introduced in other states as well. People need to speak out and urge their legislators to support adoption of the State Department definition of anti-Semitism.